If your man is carrying an old wallet dating back to his college (or God forbid, high school) days, it’s time for an upgrade. 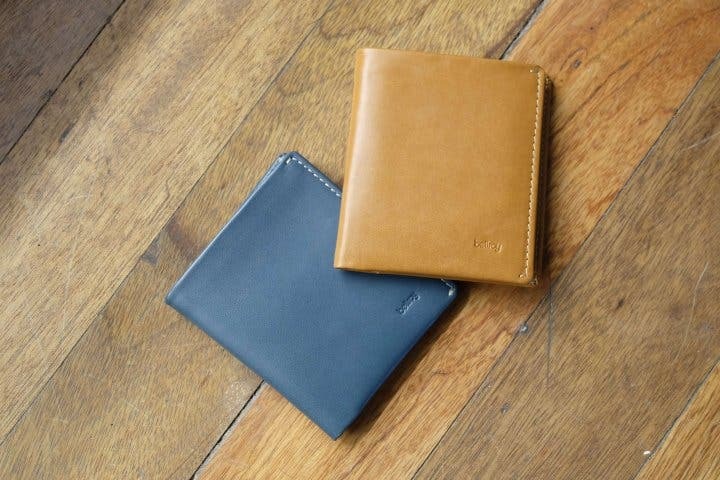 Go for something sleek like a leather wallet from Bellroy, which is slim enough to carry his cards and cash without making his back pocket look bulky. A scent says a lot about a man before he even says anything and if you want your partner to stand out from the boys, go for something unique like solid cologne from Fulton & Roark. We recommend the Tybee scent’s woody and musky notes. Solid colognes last longer and are easier to put on and store: swipe in key parts of the body and store in a bag or pocket. Keep your man’s locks in check with a good pomade. 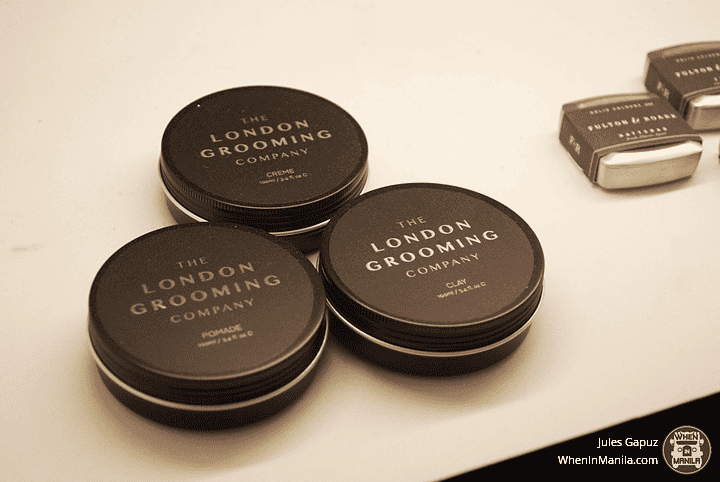 The London Grooming Company pomade can make him look like old Hollywood actors like James Dean with a lot of shine and a strong hold. For something less shiny, we recommend Percy Nobleman’s pomade, which is also water-soluble. Whatever your choice, both are best for classic haircuts that are popular now. Men have limited options when it comes to accessories and watches are the top on the list. Give him one but make it better: Undone’s watches are bespoke, which means you can have them customized to his liking. As we mature, suits are becoming an essential in a man’s wardrobe. Give him something timeless like a suit from Tiño’s, the first and only haberdashery that offers bespoke suits in the country. A bespoke suit is the hallmark of a true gentleman: it’s an investment piece that is specifically tailored for the individual wearer. 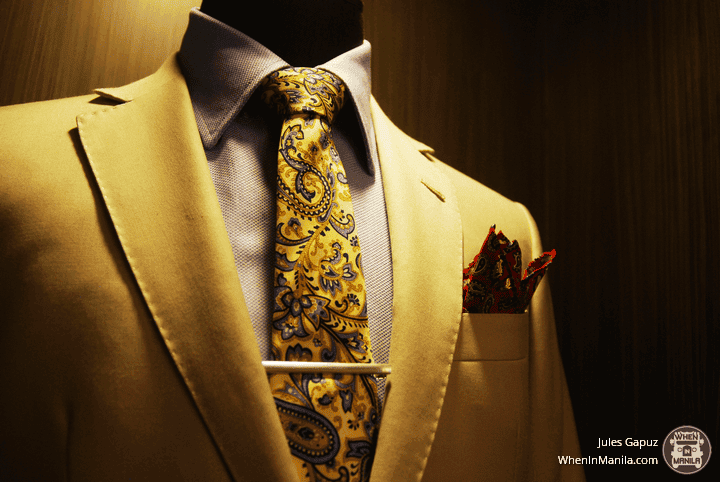 Bespoke suits have patterns created from scratch, made to fit the exact specifications of an individual’s body so the suit fits, moves, and falls on his body perfectly. A good suit will mean nothing with bad shoes. 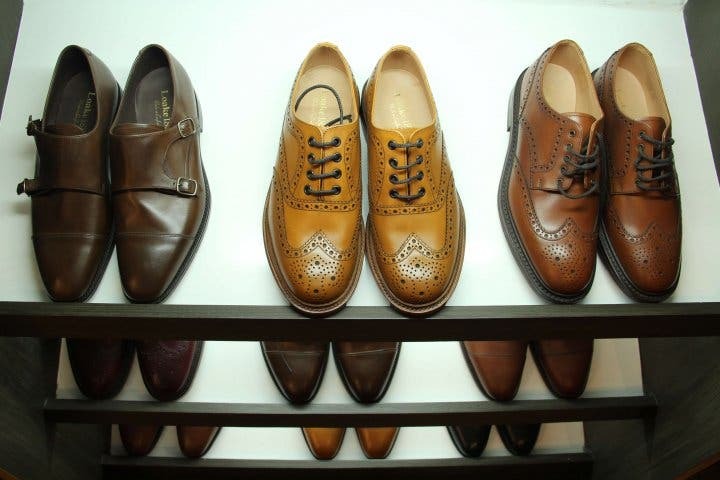 Upgrade your man’s footwear with some classy kicks like those from British shoe brand Loake. They have oxfords, monkstraps, and more, which will add a touch of style in the office or on date night. Why don’t you give your partner some pampering time with a good haircut? At Union Station, you can get the Spectre Supreme Cut, which comes with a haircut, massage, singeing, and cologne from Fulton & Roark. For those not familiar with singeing, it’s when the barber uses flames to remove ear hair. He can also have a cup of coffee or a glass of whisky for the complete experience. All these products and services are available at Spectre, a a premier lifestyle concept store that caters to Metro Manila’s modern gentleman. It is essentially a man cave, a space that indulges men in the elements of sophistication. The store has every quintessential feature that make up a well-heeled man: there’s a bespoke suit shop, leather goods, a classic barbershop, and a whiskey bar. So if ever you’re wondering what to get your man this Valentine’s, you know where to look! ZOOBIC SAFARI is ‘The Happiest Place!’ whether it rains or shines! LOOK: Someone Just Made A Pusheen Cat Cookie And It’s Awesome!